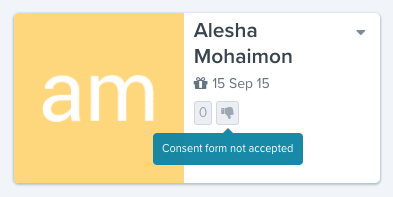 If a parent clicks 'No' on the consent form, you will be notified by email and on your children page you will see a thumbs down icon on that child's tile. If a parent signs up but doesn't fill in the consent form, you will be notified by email and on your children page you will see a thumbs down icon on that child's tile. When that parent tries to log in again they will be shown the consent form and will not be able to continue until they provide their consent. Invite the parent in to your early learning service for a chat to find out their concerns. Make sure the parent has been given information about Storypark and read the ‘Getting started’ resources. If they change their mind, you can re-invite them to Storypark. Tap the 'Resend consent form' link next to that child's name. Next time the parent logs in they will see the consent form again.